Pennsylvania may not be known for skiing. Yet, there are 19 different ski areas located within the state that tell a different story. The mountains aren't as big as those in the west, but that's one of the main reasons resorts there are a great place to learn. The slopes aren't near as intimidating, but there is still room for a challenge. Camelback Resort is located right in the center of the Poconos. It touts itself as the mountain guaranteed to move you. There is so much to do, so that if skiing ends up not being your thing, you have nothing to worry about. Camelback is designed with the beginner in mind as 39% of their trails are green. That's a total of 12 trails to keep you safely entertained. All are lighted for night skiing. Just be sure you have proper night skiing goggles before heading out. 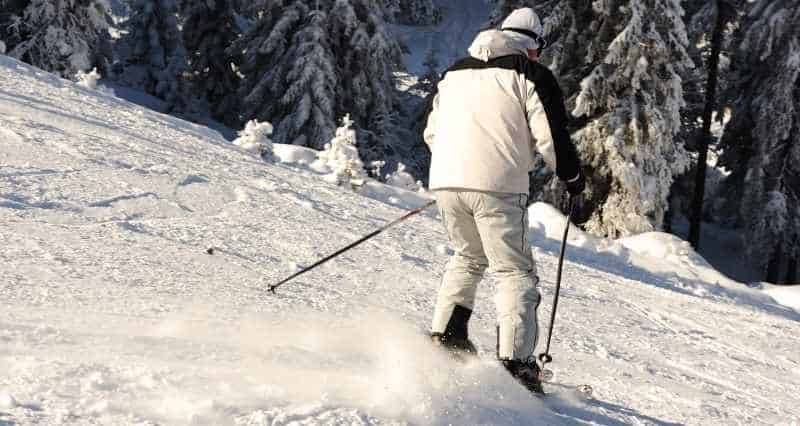 Magic carpet lifts offer the beginner skier the opportunity to learn to ski while keeping your feet firmly on the ground. Camelback provides 4 of these lifts offering plenty of space to get comfortable until you're ready to tackle the chair lifts. Camelback employs more than 250 instructors. They promise to take the fear out of sliding downhill. For adults they offer offer 90-minute beginner group lessons and 1-hour private lessons. For children, there are half-day programs as well as 90-minute sessions (ages 4 to 12) and private lessons for ages 3 and up. For little ones not quite ready for the slopes, there is childcare (ages 1 to 6). Check out their website for the latest pricing. Camelback stocks equipment to meet the needs of every type of skier. For beginners, they even have a designated rental area for those that purchase Learn to Ski or Snowboard packages. The team will take you step-by-step through the process of selecting the right gear, properly fitting, and getting you out on the slopes with an instructor. Their website offers the latest pricing. Offering the largest snow tubing park in the USA with 42 lanes, the 2017/2018 winter season saw snow tubing move to the dark. Camelback now offers Galactic Snowtubing, which includes a LED light show at night. Zoom down the mountain on the Appalachian Express Mountain Coaster. Race down the dual zip line. Splash in the 125,000 square foot, 2-story indoor water park. Book a massage in the spa or check out the fitness center. Dine in 1 of 7 restaurants offering an array of options. Grab a drink at the Thirsty Camel and enjoy some live entertainment. It's a great family resort with so much to do. Green trails are long, easy rides. The lodge is like new and includes free snowtubing and access to the indoor water park if you decide to stay there. Blue Mountain is known for having the most varied ski terrain in Pennsylvania. They also boast the highest vertical drop and the longest trails. But don't worry. There is still plenty to do at a beginner level until you are ready for more. Blue Mountain offers 14 green trails that will have you gliding down the mountain with ease. It is also home to 2 terrain parks with beginner features giving you plenty of space to practice if you begin to feel bold. With 7 magic carpet lifts, you won't have to worry about mastering a chair lift... unless you want to. They even recently lowered their prices on lift tickets making skiing more affordable to the guests. Beginners will learn in their Terrain-Based Learning Slopes, where they shape the snow. They offer drop-in, beginner group lessons for those 8 and up. Explorer programs are set up for kids ages 4 to 12. Private lessons are available for ages 3 and up, though they are marketed more toward advanced skiers. Child care is also available for those ages 6 weeks to 5 years. For rates on lessons, check out their website. Blue Mountain offers 2 rental shops that carry the best in ski and snowboard equipment for all skill levels. If you don't have your own equipment, they have you covered. You can check out their pricing here. The snowtubing park has 39 lanes that race down a hill over 1,000 feet long. It is fully equipped with 3 lifts to get you back to the top making it all fun and no work. Off the mountain, this resort is pretty low key. Grab dinner and drinks at 1 of 4 restaurants and lounges on site. Enjoy the view as the sun goes down. Check out slope-side live entertainment on designated nights. Blue Mountain is located in the heart of the Poconos. Exploring the area will provide more entertainment options off site. It's a great day trip as it's driving distance from so many major cities. It's also great for families. It's not a huge mountain making the green trails manageable. You can start in the easier areas at the bottom of the mountain and work up to the green areas at the top. Due to its proximity to all of the major cities in the surrounding area, Bear Creek markets itself as a four-season destination resort. They boast 86 acres of slopes, trails, and terrain parks. There is something for everyone, regardless of skill level. Bear Creek offers 7 green trails, making 30% of their slopes geared towards beginners. Also, more experienced party members can check out their family terrain park to test their skills. The beginner areas are serviced by 2 magic carpets and a triple chair lift making the green trails easily accessible. Reservations are recommended for lessons. Private lessons are available for ages 6 and up (1-on-1 lessons for ages 4 to 6). They also offer evening friends & family group lessons. Discovery programs are in place for both kids and adults for those that want to join a group setting to learn and explore the mountain in skill level groups. If you need childcare, they offer it for ages 6 months to 6 years. This includes a safe snow zone to test their skill on skis. Check out their website for current pricing. Rentals are available for ski and snowboard equipment. Check out their site for more details. When you need a break from the skis, check out the snow tube park. Race down the hill day or night. When you are done on the mountain, why not relax in the spa. Book a facial, massage, or manicure. There is even a kids section. Enjoy the indoor pool and one of several hot tubs around the property. There is also a fitness center and family game room. Grab food or drinks in 1 of 3 onsite restaurants. A fairly new hotel with an attentive staff. Low crowds with no wait times. The mountain is small and has really nice slopes for beginners. Nemacolin Woodlands Resort is an experience. Sitting on 2,000 acres of land, they offer multiple lodging options, award winning spa services and restaurants, a casino, and top notch activities. This resort offers options for the vacationer looking for variety. Mystic Mountain is a small property with only 6 trails. Two of those are designated for beginners. For a first timer, this resort is the perfect size to test the waters and have the option to do other things if you want. There are no magic carpet lifts, but they do offer 2 chair lifts to get you to the top. The property may be smaller, but they do offer lessons. Advance reservations are required. Their lessons are designed to be private, structured around each guest's needs. You can have up to 3 people in each group ages 4 and up. Groups can be booked for 1 or 2 hours. There is also a lesson option at night as they offer night skiing. Children's programs are also available (ages 4 to 12) in either half-day or full-day settings. If you need childcare, check out their Kids Klub (ages 6 weeks to 6 years). Details and pricing is available on their website. The shop offers rentals for everything you need to ski or snowboard. You can check out their current rates on their website. There is not a snow tube park at this resort. However, there is plenty of other entertainment options (see below). After the day skiing or boarding you can enjoy a full-service salon, spa, and holistic wellness center. There is even a kids spa (ages 5 to 13). Take a yoga or Pilates class, meditate, or get in some interval training. Take a dip in the whirlpool, steam room, or sauna. Or check out the kids indoor pool or adult indoor lap pool. They also have animal habitats in their Wildlife Academy (according to the website, many of the animals are rescued from failing zoos). Or try your hand in the casino. Kids will love the gymnastics/trampoline gymnasium and arcade. When you're ready to eat, there are multiple casual and fine dining options, grab a drink in a lounge, or schedule a wine tasting. Ranked #13 on the US News & World Report's list of best resorts in Pennsylvania. Nemacolin Woodlands Resort is known for being a unique, beautiful property with so much to do. Strong focus on customer service catering to couples and families. Seven Springs is one of the more popular resorts in the area. With 285 ski-able acres, it offers tons of diversity. They were recognized by readers as being #4 on TransWorld SNOWBoarding and SKI magazine's list of top terrain parks and pipes on the East Coast for 2018. It's a bit bigger and more crowded, but still a lot of great option for beginners. Seven Springs offers 33 slopes and 10 terrain parks. Of those, 13 slopes and 5 terrain parks are geared towards beginners. There are plenty of options to explore the mountain and comfortably test your skill. The property has a magic carpet lift inside the snow tubing park. However, the slopes are serviced with chair lifts. Seven Springs offers a robust SnowSports School offering. Their focus is on creating fun-based learning for groups, individuals, and specialized program settings. Kids lessons focus on ages 4 to 7, the ideal time to learn. Beginner lessons are grouped by ages 8 to 15 and then 16 and up, grouped by skill level. Childcare is available from walking age through 5 years. There is even an option to add a mini ski lesson. Check out all of the options and current pricing on their website. The resort partners with Rossignol to offer high performance skis making it easier to steer, balance, and control speed. Great for beginners. Save money by reserving your rentals online in advance. Check out the latest pricing at their website. Seven Springs boasts the largest snow tubing park in the area with 11 lanes. They are serviced with magic carpet lifts to make the trek back up the hill easy. There is also night tubing available. There is so much to do here you won't have time to get bored. Try snowmobiling, snowshoeing or sleigh rides. If you want something a little warmer, the resort offers bowling, mini golf, roller skating, a game room, or sign up for a yoga class. Splash in the indoor pool or hot tub. For a little relaxation book a massage or facial in the spa. When you get hungry you have more than a dozen a different places go grab food or drinks. Recent renovations and upgrades keep the condition of the property top notch. Their lifts have the ability to move a lot of people up the mountain keeping lines short. Great variety of trails, even for those just starting out. My name is Joe and welcome to Ski Trip Guide. I created this site to help people better plan their next ski trip. From staying warm to saving money on lift tickets, we aim to cover everything you could want to know. 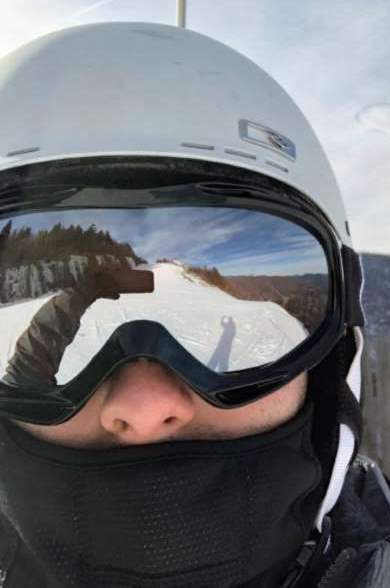 I’ve been skiing since I was in high school and still try to get out to the slopes at least once per year. It’s a wonderful way to connect with nature and this site is my way of enjoying it when I can’t actually be on the trails. SkiTripGuide.com is a participant in the Amazon Services LLC Associates Program, an affiliate advertising program designed to provide a means for us to earn fees by linking to Amazon.com and affiliated sites. Additionally, SkiTripGuide.com participates in various other affiliate programs, and we sometimes get a commission through purchases made through our links. The information contained on SkiTripGuide.com is intended for informational and educational purposes only. Any statements made on this website have not been evaluated by the FDA and any information or products discussed are not intended to diagnose, cure, treat or prevent any disease or illness. Please consult a healthcare practitioner before making changes to your diet or taking supplements that may interfere with medications. While great care has been taken in compiling the information, it may contain errors or inaccuracies, and/or some of the information may have become outdated. SkiTripGuide.com cannot be held liable for any loss, injury or damage caused by your reliance on information obtained from this site.